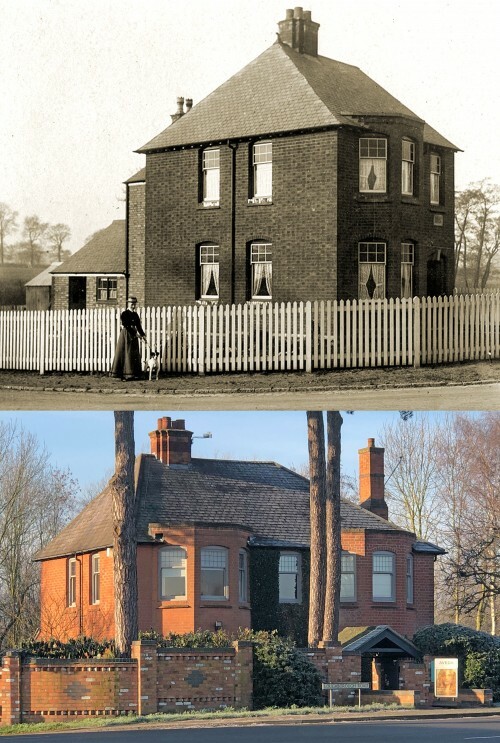 1 Woodhouse Road, which is on the corner of Woodhouse Road and Loughborough Road, used to be known as Quorn Cottage. The older photograph was taken around 1910. In about 1990 the property was extended to the right and turned into a double fronted house. It is currently (2019), occupied by Aqua the hairdressers.